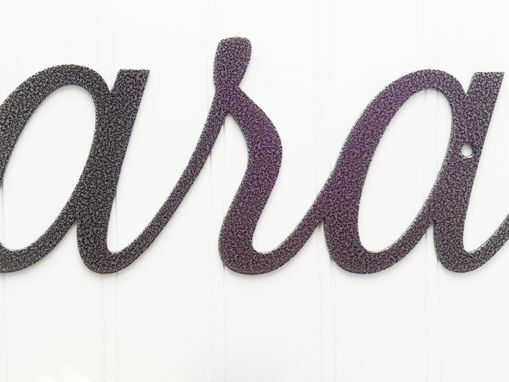 Our custom family script name metal sign is the perfect gift for any occasion. 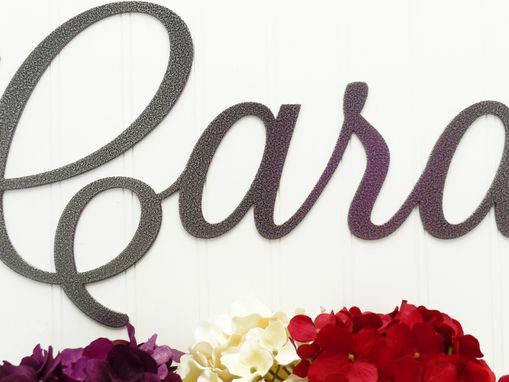 This is such a beautifully cut piece to display in any home. 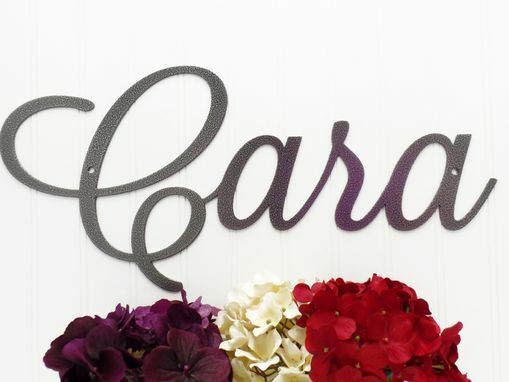 Each sign is cut in an elegant script font that will look glorious alone or paired with other wall decor. Why not make this the gift that lasts forever!